You can receive FREE Articles by Nelson Searcy. Please enter your information below to immediately access your complete library. How often do you think about the words you use every day? It’s easy to forget the inherent power of our words. We gloss over their significance because they are commonplace to us. We take them for granted the way fish take water for granted. We are used to talk; it just is. We are full of, surrounded by, and constantly inundated with words, words, words. Stepping back and seeing the weight and impact of our ingrained linguistic choices takes intentionality. But when we are able to do just that, we will begin to see that each of our little, carelessly thrown around words actually carries the power of life and death. Until we start realizing that our word choices carry enormous consequences, we will continue to underestimate how they work for us or against us. . . Tired. Stressed. Sick. Overweight. Do these words describe you? For the vast majority of pastors, they are the norm. Over the course of our years as church leaders, too many of us have sacrificed our health and wellbeing on the altar of ministry. We have lost the vibrancy – and the waistlines – we once had, opting instead for the poor, counterfeit version of health that has become acceptable in our culture. For church leaders, the picture is rather bleak. For instance, a recent Pulpit and Pew study of 2500 clergy found that 76% were overweight or obese. And 40% of pastors say they are depressed at times, and worn out “some or most of the time.” The consequences of years of poor health decisions catch up. It’s inevitable. When they do, our bodies suffer and our ministries suffer. We end up fat, chronically sick, dependent on pills to regulate our bodies’ systems, and stressed to the point of burnout or even depression. None of this is good for us, our churches, or God’s greater kingdom. . .
Over the last several years, I’ve noticed a shift in the church planters who attend my training seminars on how to successfully launch a new church. The crowd used to be made up primarily of twenty-somethings in skinny jeans. Lately however, there have been many more forty and fifty-something professionals in attendance, most of whom have already had a measure of success in the business world. Second career church planting has become a positive trend with good reason. Many careers – whether corporate, nonprofit or military – are invaluable training ground for potential church planters. Are you considering stepping out of your current profession to start a church? If so, the skills you’ve developed and honed throughout your career are sure to help you excel. Still, they are not enough on their own. . .
You’ve probably heard the old saying, “Money makes the world go ‘round.” While those of us in ministry understand the skewed nature of this adage, one thing is for sure: Money is critical to the work we do – especially when that work involves launching a new church. Every idealistic, would-be church planter must come face to face early on with the reality that starting a church takes a lot of financial resources. In fact, if you are preparing to launch a new church and have been trying to ignore the importance of money to its success, I suggest you do one of two things . . . I have a serious question for you. There is only one right answer to this question, so get ready. If you answer incorrectly, don’t be too discouraged. There is hope. But this question is a barometer that can’t be ignored. Here it is: Did you take your cell phone with you on your most recent date night with your wife? If you did, let me assure you that you are not alone. A recent study by Hewlett-Packard found that 62 percent of the adult population is addicted to cell phone technology – that is, texts, tweets, Facebook updates, instant access to emails and, of course, phone calls. Pastors and other church leaders are not immune to this phenomenon. In fact, we may be among the guiltiest parties. We are a techno-connected bunch. . .
We all have the same number of hours in a day. The way we choose to manage those hours will either help us live a life of effectiveness and success or lead us down a path of frustration and repeated failure. Of course, we would all rather use our time to create that first scenario, but many of us just don’t know how. You probably didn’t learn much about time management in school. I didn’t. Even though understanding how to use our time is essential to success, it is something we’ve been left to educate ourselves on. And the truth is that many of us don’t take the time to get that education. . . Vision is a pre-requisite for leadership. One cannot lead without a vision of the future. Choosing to cast your vision is the first critical leadership choice. Vision is the essential ingredient for a leader, both personally and for the organization you lead. . . In North America, church growth lags way behind population growth. Every year we see that while the population continues to grow, the church continues to lag behind. It has been estimated that over the half of the congregations in the United States are less than 100. Other estimates have told us that over 80% of the congregations in America have less than 250 people on an average Sunday. . . Your clear next steps to begin upgrading your church's systems immediately. So Don't Wait - Complete the Form Below to Get Your FREE Articles! YES! Immediately Send Me My FREE Articles! YES, I also want to test drive the Renegade Pastors Network for just $1.00 for the next 60 days (a $1,011.20 value with $813.20 in immediate free bonuses)! PLUS get a FREE copy of your BRAND NEW hardcover book, The Renegade Pastor: Abandoning Average in Your Life and Ministry, AND access to 30 FREE book summaries ($379.00 value)! In this "nuts-and-bolts" resource, Nelson Searcy will help you reduce your stress and increase creativity by planning your preaching in advance! You'll discover three steps to planning, effective message series development, five ways to improve your preaching skills and much more! 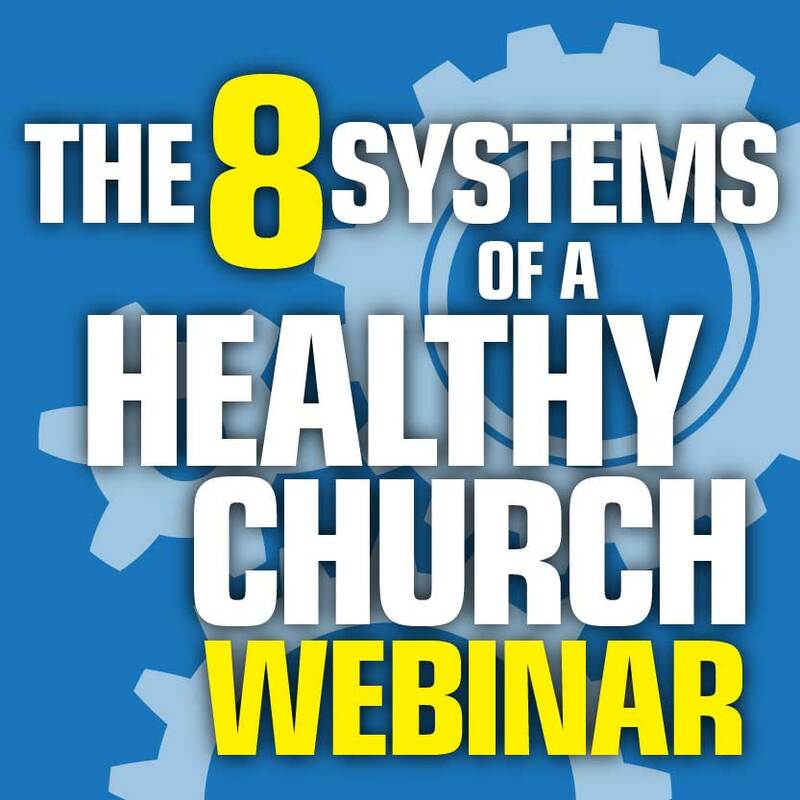 The foundational system - and fastest way to grow your church! Get the complete Assimilation Seminar for just $25 - Normally $99.95! Save 75% on this three-hour seminar from Nelson Searcy plus receive a listener's guide and sample emails, surveys, letters, cards and the actual 25+ page Assimilation Strategy used at the Journey Church!